The music-festival circuit can be a pretty magical experience. Crop tops, temp tats, nonstop access to our favorite artists from Friday through Sunday...count us in. That is, until the stage lights turn off and we realize we're in the middle of a desert sharing a two-person tent with five other people — and no shower to be found. Instead of sweating it, we turned to hairstylist Blake Erik for six different styles, plus key Garnier Fructis product recs, that will make it look like your hair is fresh, even if you haven't touched a bottle of suds all weekend. So whether you're hitting up multiple fests or you just want a week's worth of new styles to try, we've got you covered — all of these work just as easily for squeaky-clean hair. Wherever the weekend takes you, shampoo is one thing you won't need to bring. If we legitimately can't wash our hair for the next three days, it's in our best interest to keep it as clean as possible while rocking out to our favorite bands. Erik suggests kicking the weekend off with a style that gets hair out of the way, thanks to two rope braids. This ultra-smooth, sleek look is not only an edgier twist on the average pigtail, it helps set up your second-day 'do. 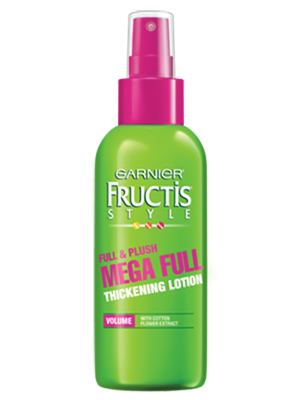 Before you head out for the weekend, apply a volume-booster to freshly washed hair, like Garnier Full & Plush Mega Full Thickening Lotion, from mid-shaft to ends. It will plump up your strands without weighing your overall style down. After rough drying, use the skinny end of a rattail comb to create a clean middle part, splitting your hair into two halves. Sweep one half into a low ponytail right behind your ear and secure with an elastic. Clip the other side up out of the way so you can work on one rope braid at a time. Separate that one pony into two sections and twist each one clockwise until it's taut. Then weave those two twisted sections counterclockwise around each other and secure the ends together with another elastic. Pro tip: It's important to twist clockwise and then counterclockwise for hold and tension here — otherwise the rope braids will just unravel and all your effort will be for naught. Repeat the same steps on the other half of your hair to finish the style. To make it ultra-sleek, run a dab of smoothing product along the top of your head and down the length of each rope braid with your fingertips — this also helps to tame flyaways and soften spiky ends. Erik notes that you can either snip off the elastics at the tops of the pigtails (the ones behind your ears) if you want a looser look, or keep them intact for a tighter effect. Topshop dress, JvdF necklace, WWAKE rings, Lady Grey rings, Catbird rings. This second-day style is as easy as it gets — all you need to do is swing your rope ponytails up across your crown! Done and done. Not to mention, you're covering up the part of your hair that might be looking the oiliest, giving you a fresh look with almost zero effort. Of course, before you leave your tent and hit the music grounds, you'll still want to take some steps to make these classic milkmaid-style twists look as good as possible. Start with a light mist of dry shampoo at your roots. Since your hair will be so smooth from the day before, carefully use your fingertips to rub the product into your roots and scalp without roughing up the texture. Then, if you left your pigtail elastics intact yesterday, Erik advises sliding off the ties behind your ears. This helps loosen the twists so you can crisscross them easily. As for the actual crossover, just swing each side up over your crown and secure the ends against your head with a few pins. A little messiness is what makes this look, so don't worry about second-day frizz and flyaways here. Finish by — just kidding! — told you this one was easy. Awoke Vintage top, Topshop skirt, Catbird choker and earrings, stylist's own bangles. The first step is to let out your rope braids. Unravel each twist and brush out with your fingers. This helps distribute the oil from your roots all the way down to your ends to give you sleeker strands, says Erik. If you're worried your hair still looks too greasy even after raking your fingers through, you can always hit your roots with a little dry shampoo. Then, sweep your hair into a high ponytail. 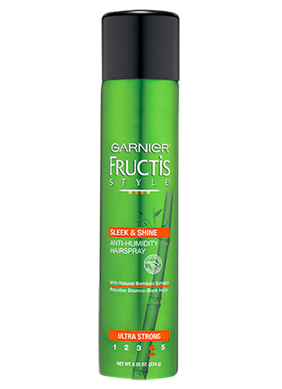 For an almost shellacked look without a brush, mist your palms with hairspray, like Garnier Fructis Sleek & Shine Anti-Humidity Aerosol Hair Spray, to help grab every possible flyaway as you pull your hair back. Secure the pony tightly with an elastic. You can work with the texture that's already in your hair by keeping the pony full and fluffy, or if you can quit your shampoo but not your heat tools, run a flat iron through it, like we did here, to make it stick straight. Again, the oil that's already in there makes it easier to tame. Now, with all your favorite songs from the weekend streaming through your head, it's time to lather up that scalp and start over. Read on for three more styles you can wear next weekend. Levi's jacket, Topshop dress, Baldwin vest, WWAKE rings, Catbird rings. Just like last weekend's rope braids, these easy buns keep you from touching your hair every five minutes (which puts it on the fast track to greasy!). But more importantly, they'll also create cool texture for your second- and third-day styles. To prep this look before you go, start with a healthy dose of thickening lotion on damp hair to beef up strands, then go over each section with a wide-toothed comb to evenly distribute it. Rough dry with a blowdryer to enhance your natural texture, or just let your hair air-dry if that's your jam. Now, just as you did with the rope braids, split the first pigtail in half and twist each section clockwise into a rope. Once they feel taut, twist the two halves counterclockwise around each other and secure the ends with a small elastic. Run your hands over the twist a few times to rough it up for a messy look. Finish by looping it around into a regular bun, securing with bobby pins as you go. Repeat these steps on the other half of your head and call it a (good hair) day. Amarcord Vintage dress, Catbird earrings. The issue with second-day hair is that roots start to look oily and flat. But with a little bit of dry shampoo and a clever middle-part braid, this style literally gets to the root of the problem. To get this look, undo your buns from day one and spritz your roots with a dry shampoo where they're most oily. Let the product absorb for a minute, then rake your fingers through to help distribute it. The dry shampoo has a triple benefit here: In addition to soaking up oil, it also helps hold and enhance the texture from the buns. Using your fingers, section out a two-inch-wide swath of hair, running from your hairline all the way back to your crown — almost like you're making a mohawk. Smooth the two large side sections of hair behind your ears and out of the way. Now, lean forward so you can grab your hair easily, and split your mohawk into three sections back at your crown, the way you would start off any braid. Except here, you're gonna switch it up and create a Dutch braid — that's an inverted Frenchie where you layer each section under, rather than over, each other. Braid it forward toward your hairline, then split the remaining free hair into two sections and tuck them behind your ears. Secure with bobby pins for all-day hold, or leave them loose for more movement. Topshop top, Miu Miu skirt. As another epic weekend comes to a close, this retro half-topknot maximizes the texture from your first two styles and makes the most of your oily roots. Sounds like an incredibly odd combination that shouldn't go together in theory, but we promise it does IRL. 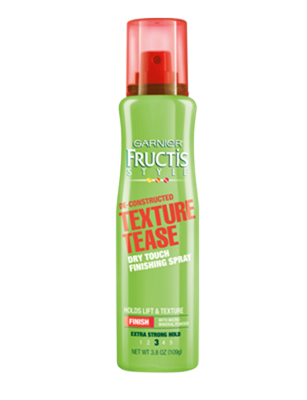 For this style, start with a generous all-over spritz of texturizing spray, like Garnier Fructis De-Constructed Texture Tease, to enhance and define your day-three waves while also absorbing excess oil. Scrunch well with your fingers (the more texture here, the better) and then make a middle part from your hairline halfway to your crown. Sweep the back end of your hair into a half-pony, starting from the tops of your ears, and fold it in half to create a loop. Secure it tightly with an elastic — tightly is key here, otherwise your loop will droop and you won't get a cool samurai-inspired effect. Leave the rest of your hair down to show off your hard-earned texture. So...still think you need to pack your shampoo this weekend? Courtshop top, Lady Grey necklace, JvdF necklace, Catbird earrings. Photographed by Sam Nixon; Styled by Alison Marie Isbell; Hair by Blake Erik at Jed Root Inc.; Makeup by Akiko Owada; Nails by Holly Falcone at Kate Ryan Inc.; Modeled by Helene at Supreme; Modeled by Tiffany at Wilhelmina; Photographed by Sam Nixon.